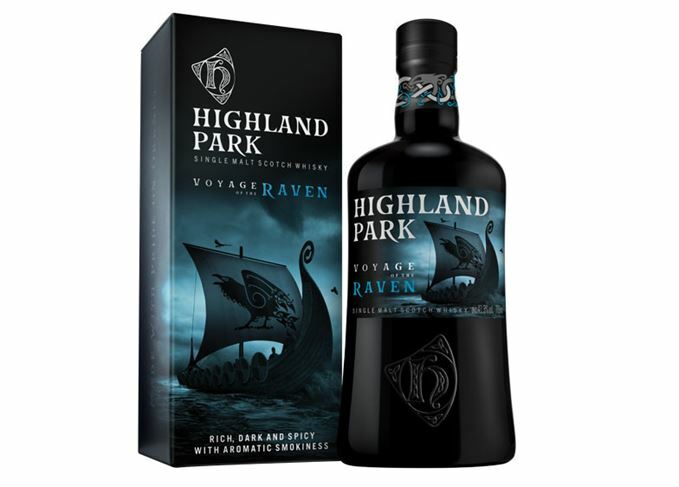 Highland Park is discontinuing its Warrior Series in travel retail, and replacing it with a new range led by Highland Park Voyage of the Raven. The new no-age-statement single malt is a limited edition expression marking the end of the Orkney distillery’s Warrior series. In Norse mythology, the raven was a symbol of success on a voyage, and loyalty to the god Odin, whose two ravens, Huginn and Muninn, were his eyes and ears in the Viking world. Highland Park Voyage of the Raven has been matured mostly in first-fill Sherry casks and bottled at 41.3% abv. It’s described as having notes of vanilla, cedar, black cherries and spice. Available in limited volumes in global travel retail for €65, the expression precedes the launch of Highland Park’s new travel retail collection next spring. The new range will replace the brand’s Warrior series, which launched in 2013 with the Svein, Einar and Harald expressions. Sigurd, Ragnvald and Thorfinn were introduced later in the year. Its introduction comes as part of a brand overhaul for Highland Park, which launched a new bottle design and several new expressions in May 2017. New 15-year-old limited release has been matured exclusively in refill Port casks.